As a business analyst, I recognize that I am a very different person. I am hyper analytical, focused on facts, information, and thinking about things all the time. I see the big picture and dive into the details of a situation almost simultaneously. This represents some challenges for leadership expectations. I notice things differently than ‘normal’ people. 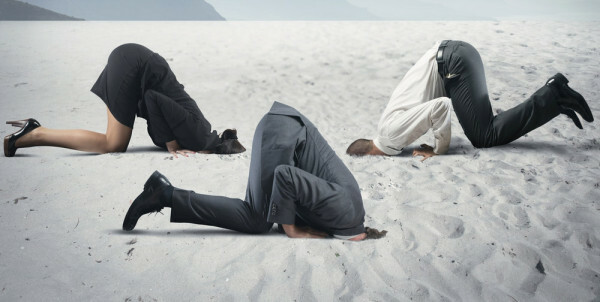 These are three critical leadership fails I notice most regularly. These are things that truly impact my ability to follow leaders. Don’t be the leader that does any or all of these things! It seems simple enough to do what I say and not what I do. Leaders that ask their teams to act a certain way, to follow a certain rule, to comply with a set of guidelines, and act in another way are impossible to respect. Credibility is lost when the words and action do not match. As a parent, imagine you tell your kids to never jump on the bed and then immediately climb up on the bed and start jumping. What do you expect those kids to do? Of course they will be confused as they try to understand how the rules apply to them but not you and they see you jumping on the bed. Leaders need to be practicing what they preach, walking the talk they are talking, how many clichés are there for this leadership faux pas? This is my number one leadership fail. As an analyst, I am hyper aware of words and hear what someone says and watch what they do. I am not expecting perfection in every action and compliance with every rule. What I do expect from a leader is that they are willing to follow the guidelines that I must follow. When I see a leader behaving differently than how they have said I need to behave I question their ethics and begin to wonder if I can trust them. When this behavior is repeated, the trust erodes a bit more. This behavior choice is very damaging for teams. Leaders cannot afford to not walk the talk! Leaders that are not available for questions or guidance and do not know their team individually are a liability and not an asset. Leaders need to know their team members strengths, weaknesses and what they want to achieve. Leaders that do not take time to build a relationship with their team to understand what they are working on, what progress they have made and what they are struggling with do not create value as a leader. Without an understanding of individuals, a leader cannot effectively lead, coach, or help a person grow. A leaders role is to be present in understanding what the current state for an employee is. I have had situations where I was asked to provide status updates, business analysis plans and copy leaders in on project questions or concerns, and the leader seems to not know what is happening in my work. I wonder, did you receive the communication? Once I have confirmed that yes, the information reached them, however they didn’t read it. Isn’t the main role of a leader to be aware of the current state of their team? What else are they busy doing if they aren’t reading status updates, plans, or other communication from their team? Leaders, be present in understanding your team. Don’t miss this opportunity to create value by creating a relationship and paying attention to what your team is involved in. As a business analyst, I reach out when I need clarification, help or support to solve an issue. I need that reach to be recognized and responded to. Leaders that do not respond indicate a lack of involvement and caring for leading me. It is truly amazing to be on a team when the official leader fails to respond. Teams are left to guess and move forward when they receive no response. In addition to being present and understanding that there is an issue, a response is necessary. Leaders that are busy doing everything else but responding to their teams are not leading. As a team member I don’t trust leaders that do not respond to my requests. I do understand that leaders are busy and do not expect instant responses, however, I do expect acknowledgement of some kind within a 24 hour period. That response may be guidance on who can help me if they are not the correct person. If I do need to meet with you in person, make time as soon as possible for a face to face conversation or a phone call if working remotely. Leaders that are involved and aware of their teams when they respond will have motivated teams. Now, as a team member, I have an obligation to try and solve my own problems. After I have exhausted all my resources for problem resolution, then reach out to the leader. Leaders will then know that you come to them after you have tried to solve the problem on their own and your resources have not been able to help you. Leaders that are responsive will create trust and respect for being involved. I want to work with leaders who respond!